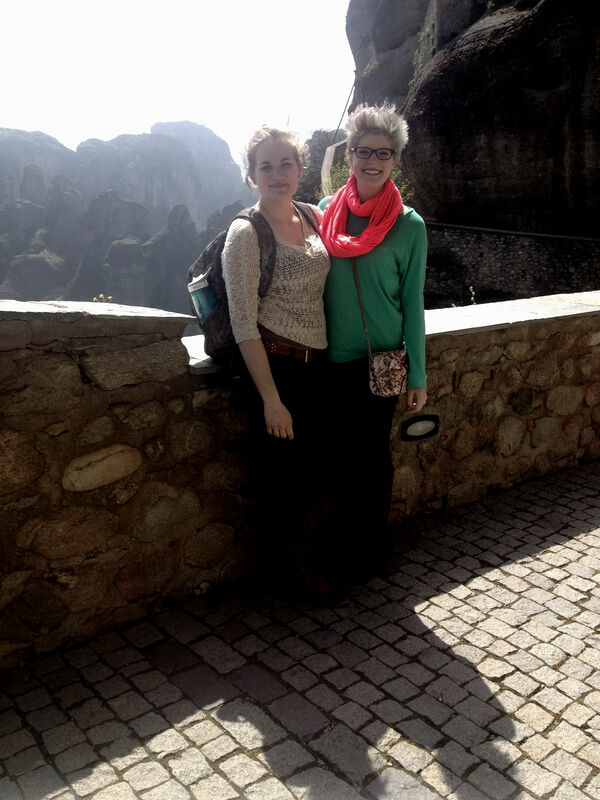 Sometimes it’s easy to forget the first word of the term “studying abroad.” That is, we are actually going to school. Weird, right? We have tests and projects and other normal school things. I had no idea. 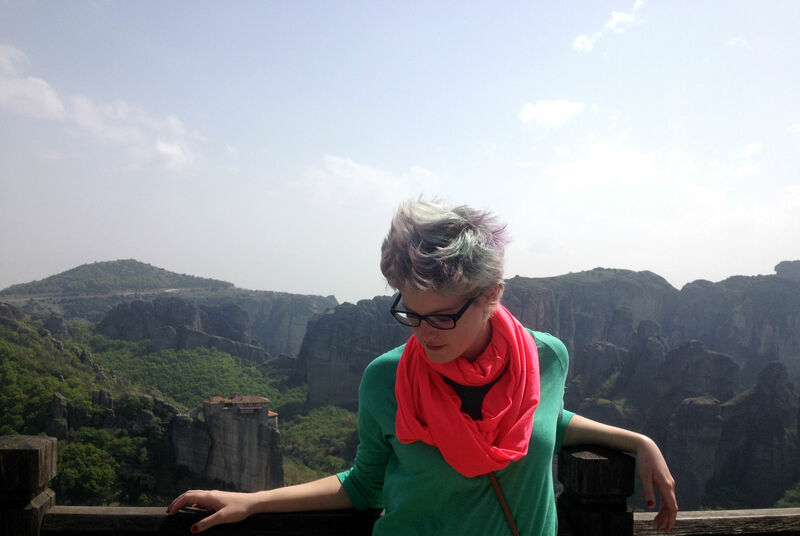 Anyway, spring break is next week, (Here in Greece, lovely, lovely Greece, spring break is two weeks long. score.) which means, of course, midterms and mid-semester projects. Add the fact that my friend Caitlin came to visit me for a week and a half and that left me with little to no downtime. So, I apologize for disappearing, but I’m back. Having Caitlin here was really nice. I’ve been a little bit unsocial thanks to a dire need to stick to my budget (I have to worry about money while studying abroad? this isn’t fair) and an extreme opposition to going out in cold weather at night, so it was great to have someone to talk to and to pretend I had a roommate for 12 days. 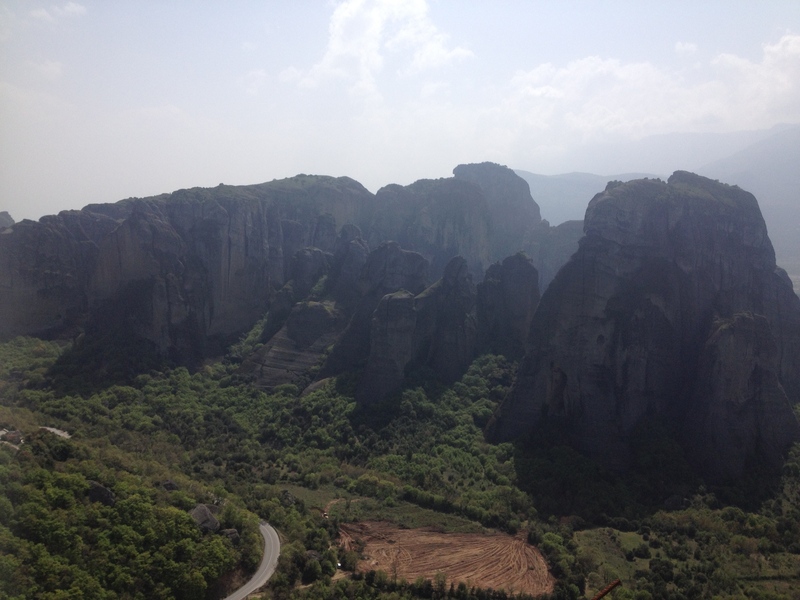 We went to Meteora last weekend. It was honestly one of the most beautiful places I’ve ever been in my life. Pictures incoming. I would definitely say it’s a necessary place to go for anyone visiting Greece. Just don’t make the mistake we did and hike from the nearest village. Just take a cab. Trust me, your feet will thank you. Or, if you do decide to hike, don’t wear heeled boots. My friends said the walk “wasn’t that bad.” Little did I know, they got dropped off an hour and a half (walking distance) up from where we walked. It was “that bad.” All in all I’m REALLY glad I went. Our school organized a trip for us to go, but I didn’t go with them because the spots filled up fast. Caitlin was here last semester, and she didn’t go then either, so we both decided it was important for us to see before she left Europe for good (sob). School is going well, surprisingly enough. I’m normally a huge stickler for grades back home, but here it’s significantly harder to be in the school mindset. I’m on vacation, right? Luckily I’m keeping my grades up to par, but I’m not doing much else other than that. I’m actually done with thinking about school until May because my spring break is so long. I have class tomorrow, but since I’m done with all my tests it should be a chill day. Most people are leaving and traveling for the break, but I’ll be hanging out here, getting to know my favorite city more and hanging out with some of my Greek friends. It’s finally starting to warm up here, so hopefully I’ll feel compelled to leave the comfort of my room soon and interact with other human beings. Don’t get me wrong, I don’t mind spending time by myself at all, and I see everyone at school, but my bed and computer have been getting way too much attention from me recently.